I've really been feeling the cold this winter. Especially my feet. 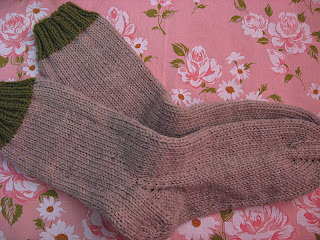 I've even taken to wearing thin cotton anklets inside my wool socks. 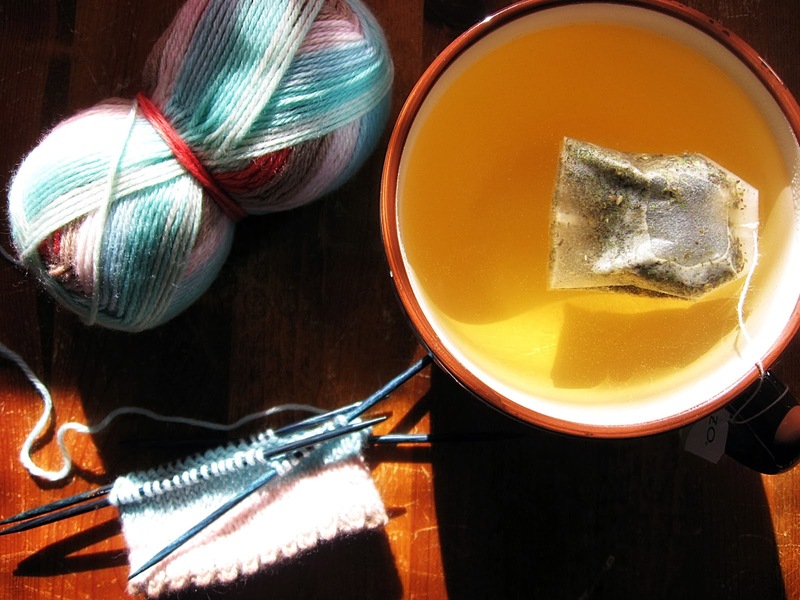 At this point, pretty yarn turning into warm socks and hot drinks is the only thing getting me through the season. My love affair with the beauty of winter is pretty thin on the ground by February. I've had enough ice and snow and salt and sand...sadly, they're houseguests that just won't leave. So there's nothing else for it. I Must Knit More Socks. They make me happy...and warm. My current socks in progress are a shameless copy of these. I thought they could be my Valentine's socks. 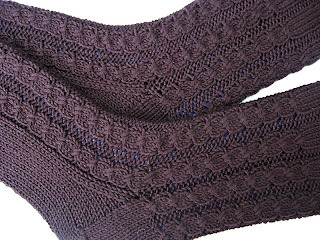 But they won't be done in time because I didn't start them till Monday night, and at 9stitches/inch, they're not very fast. 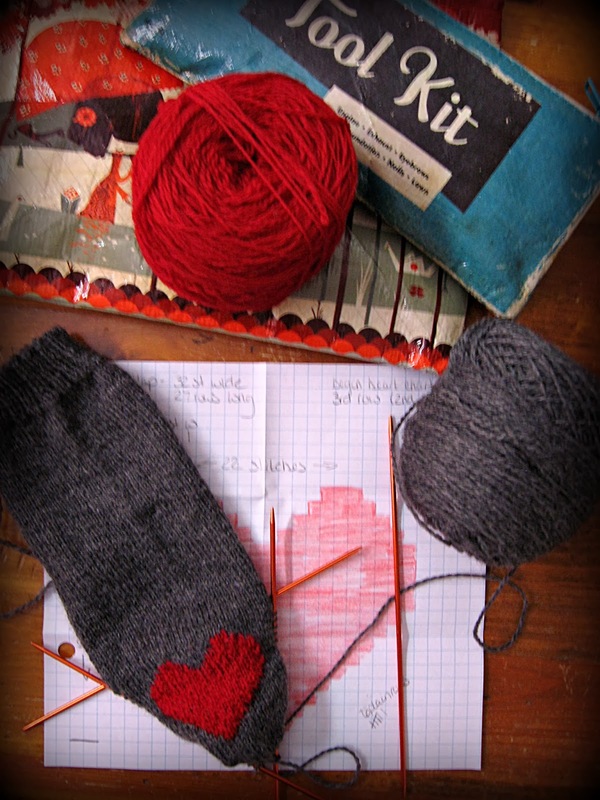 And then there's the intarsia heart. Have I ever mentioned how I dislike knitting intarsia (or fair isle?) 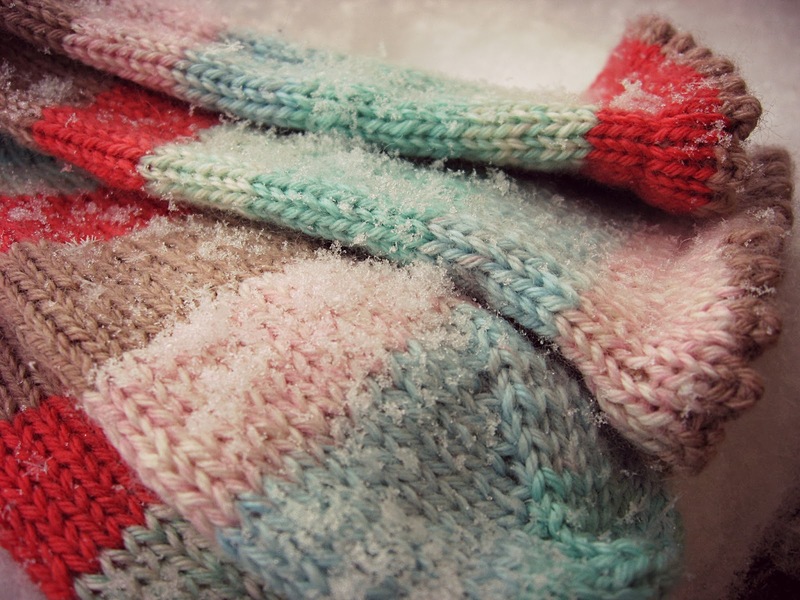 I think they're gorgeous and I envy people who churn out colorful knits. But, I struggle. 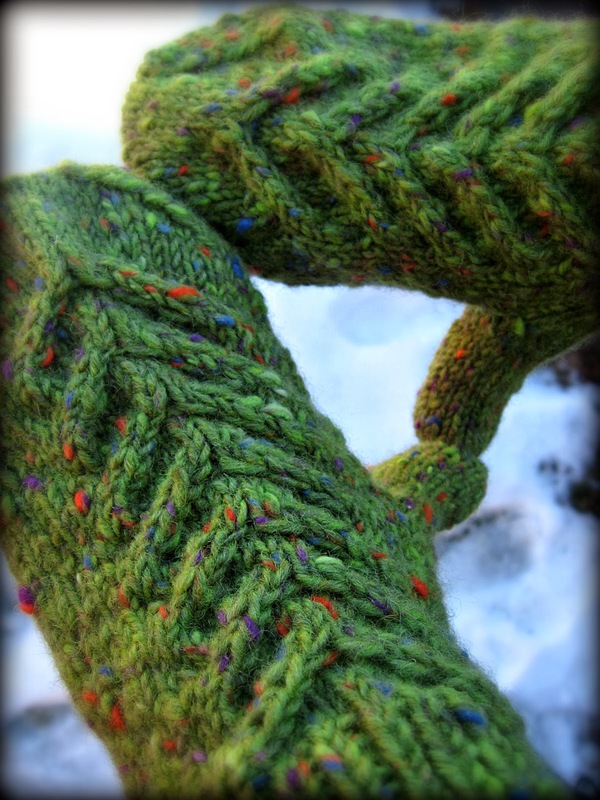 The stitches are wonky and the yarns tangle. 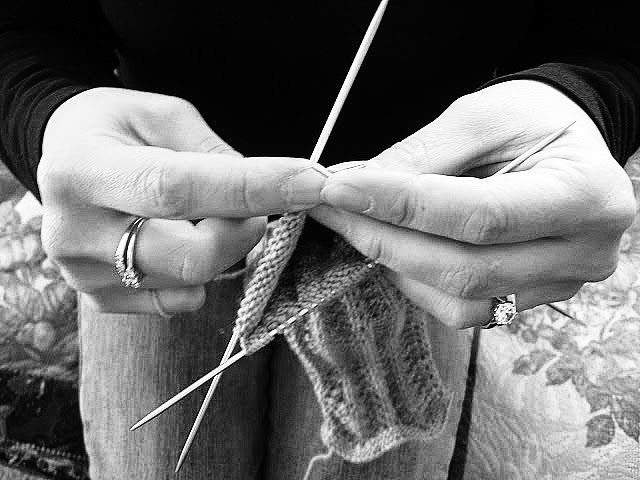 And I find myself frustrated and pulling out my hair and yarn. Not pretty. 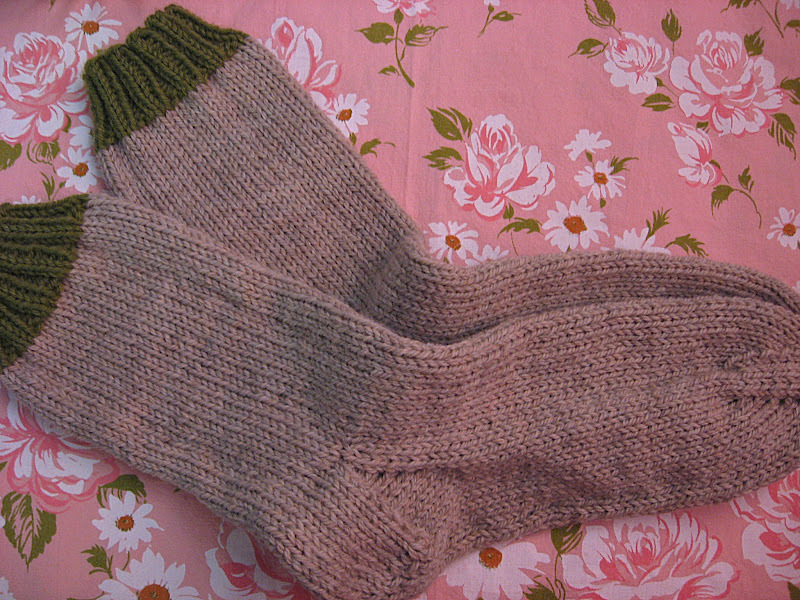 But yet, there is a wonky little heart on the heel, and I hope that it all evens out in the blocking. 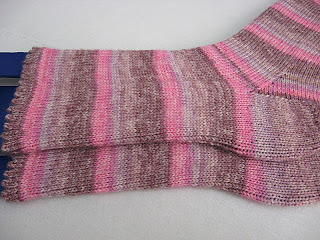 I suppose I could have done it in duplicate stitch, but not sure I was using all my brain cells when I started this sock. Because, if I had been using my brain cells properly, I would have knit the cuff in red to ensure that I would have enough gray yarn for both socks. Winter is still thriving here, as it is in much of the country. 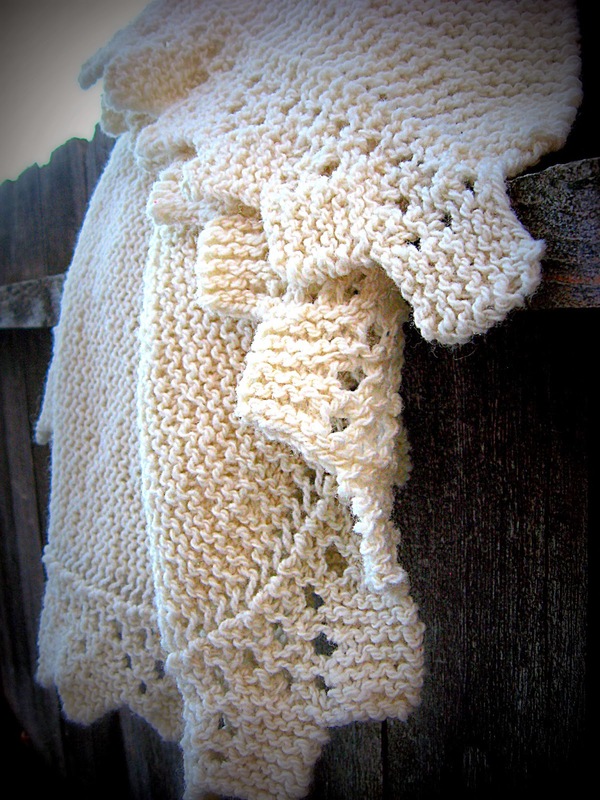 As a knitter, I love the romantic idea of winter...dreaming of warm, woolly handknits to protect against the chill. 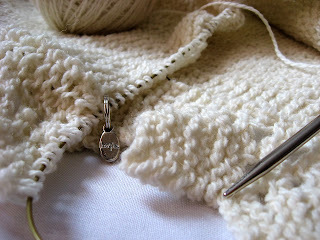 Sitting inside where it's cozy with my needles, while the snow falls outside my window. But the reality of facing the frigid temps is a different story. I'd stay inside and avoid them if I could. But, I have to venture out early every morning to take the kiddos to school. 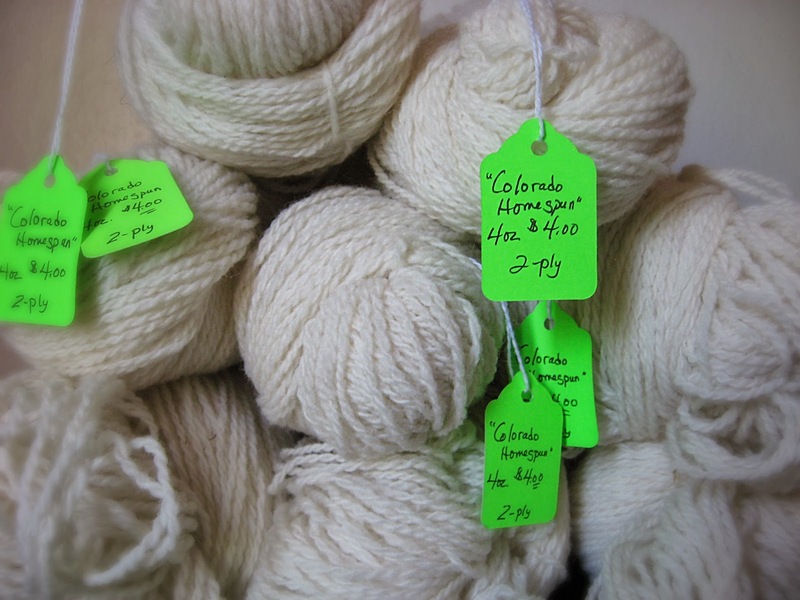 Spring is still several months away, so I'm still arming myself with needles and yarn! Thank you so much for the very kind welcome back! It feels good to be in blogland again. I need to spend some time with my bloglovin account and add some blogs back into it (I had cleared it all out a while ago.) I still miss google reader. 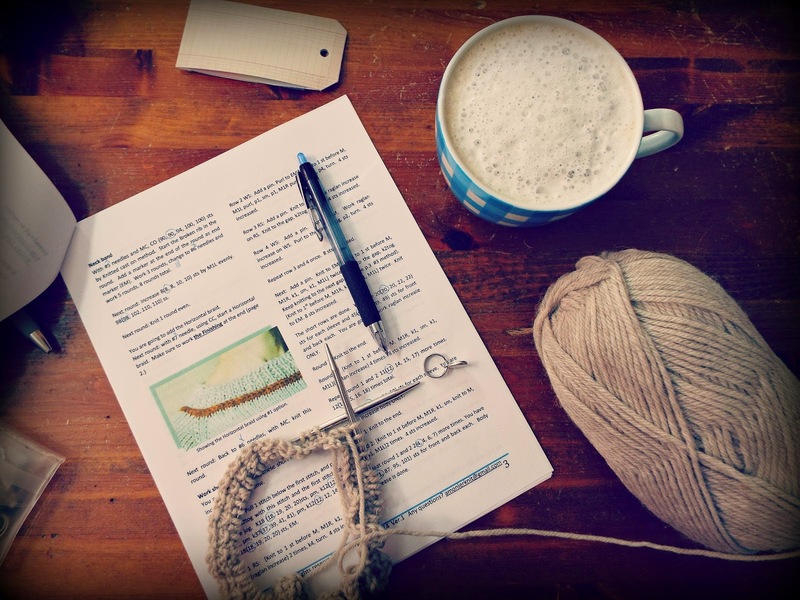 The new year had me wanting to get the list of knitting wip's whittled down. I've managed to get two crossed off. I finished my Colorado shawl, knit with some rustic 2-ply Colorado homespun purchased at the Taos Wool Festival many moons ago. 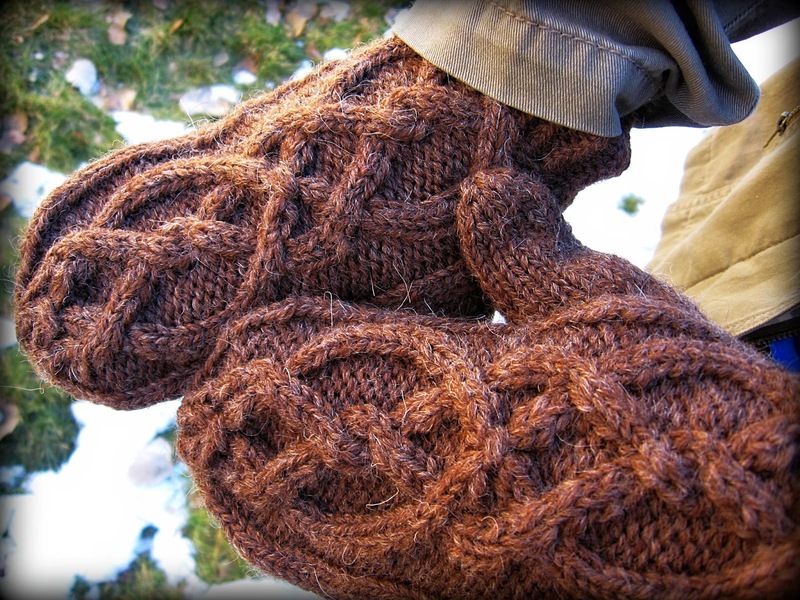 The yarn and pattern felt like they were meant for each other. 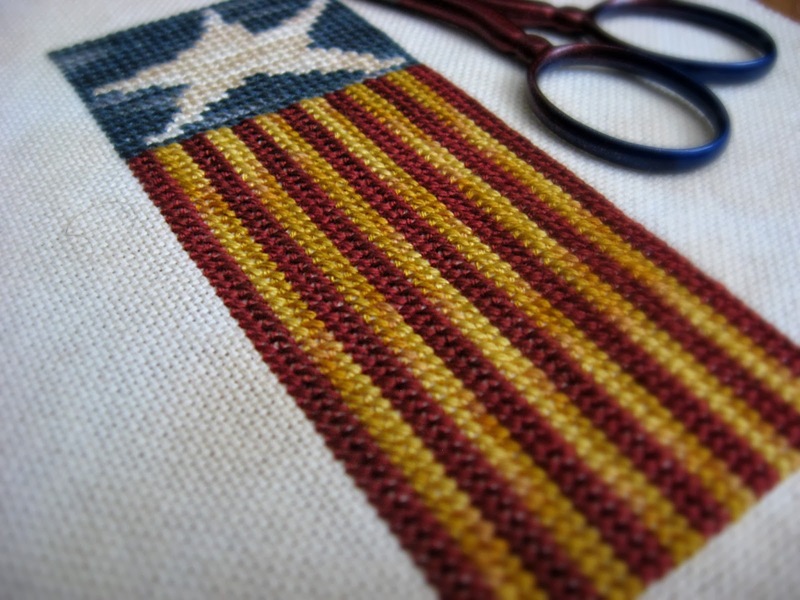 And the pattern...so simple and lovely and clever! 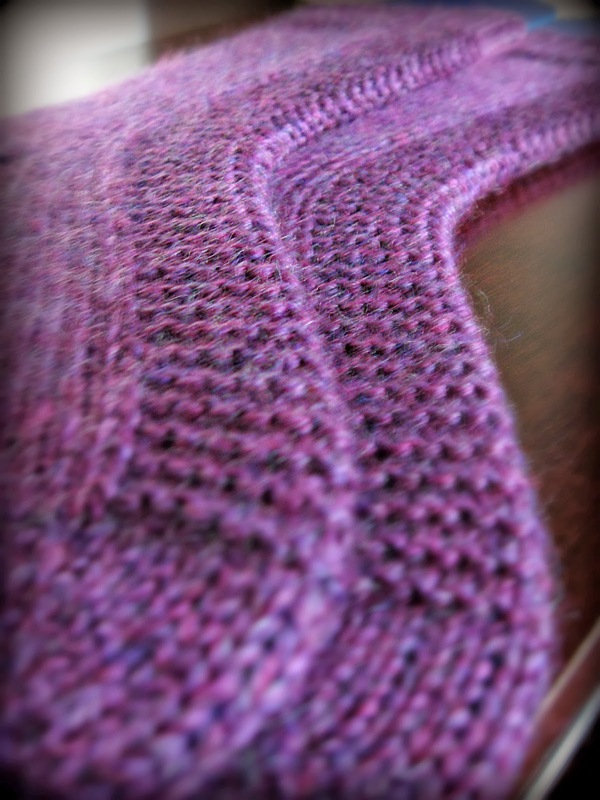 Wendy doesn't recommend blocking the finished shawl, but I felt like my yarn could use it and I was right. It bloomed beautifully, and while it's still very "rustic" feeling, it isn't quite as scratchy. 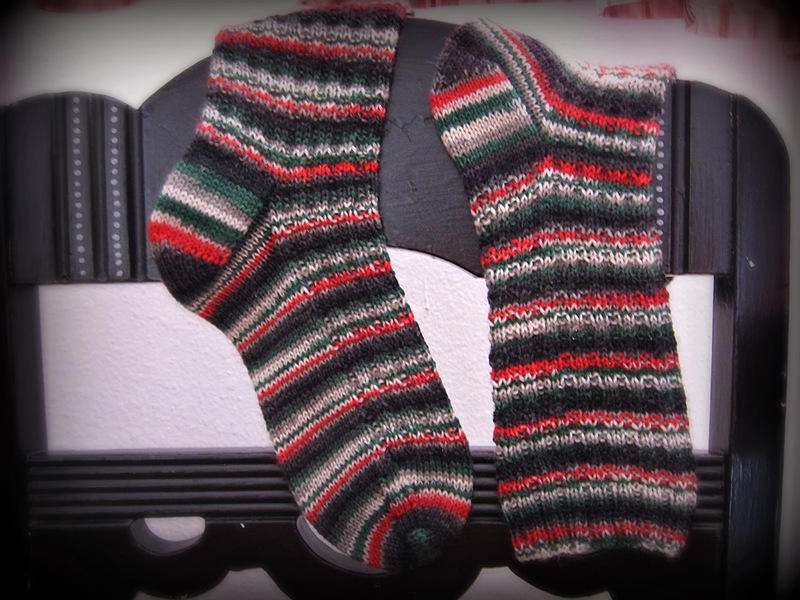 I finished my Christmas socks a wee bit after the holidays. 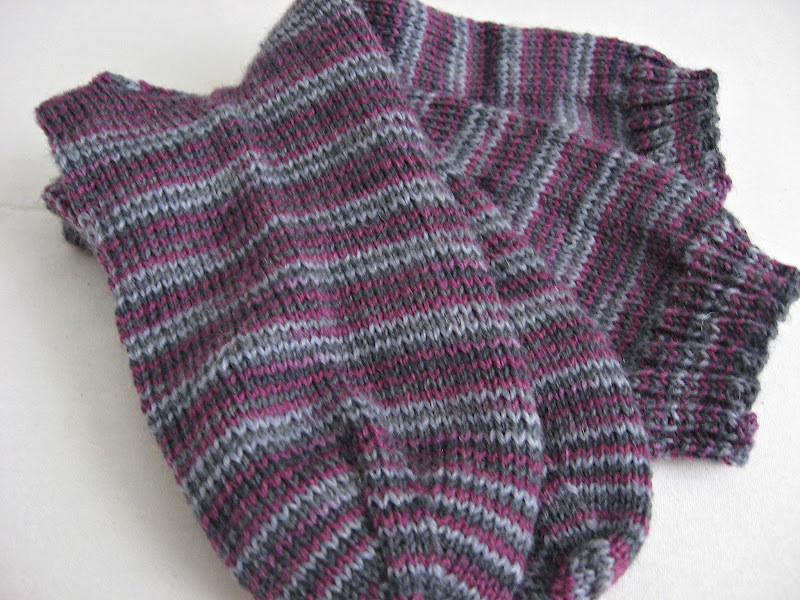 I have easily knit a couple hundred pair of socks, but I still get a little giddy with a newly finished pair. Thanks for stopping by my neck of the woods. Sending you all a little Colorado Sunshine! Hello My Dear Friends, is there anyone out there? I never meant to stop blogging, it just sort of happened. And then as more time passed, it became harder to get back into it. I became a lurker again, lol. But I've felt the blogging urge coming back to me in recent months, and well, here I am. It's a new year and it feels like the right time to dust off my little space and start anew. Hoping the New Year is full of peace and happiness and wishing the same for you! My sock needles are almost never empty. But there was almost a full month where they were. Thankfully, Middle had a band concert. So I cast on some very plain ones to take with me. 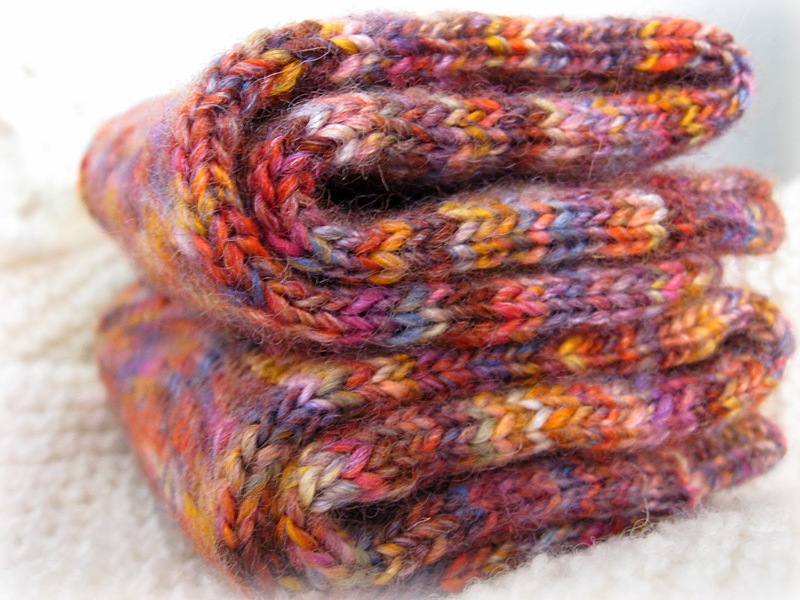 You can check out my Ravelry page for more project info. they sure make my day!